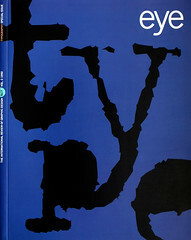 ‘To begin with, let us enumerate what is repulsive and therefore wrong.’ Thus opens an essay by Jan Tschichold on ‘Typesetting superscript numbers and footnotes’: one of the pieces from this American edition of his thoughts on book design and typography, first published in Switzerland in 1975, the year after his death. The delight in tackling the smallest details of typography, listing mistakes, proposing remedies, and infusing all this with a driving ethical sense was Tschichold’s hallmark as a writer on typography. It is what makes these essays still worth reading, even though the processes of typography have changed so much since the mid-century, when most of them were written. The major text here is an essay titled in this translation, ‘Consistent correlation between book page and type area’. (It has been familiar to British readers as ‘Non-arbitrary proportions of page and type area’ since its publication here in a printing trade journal in 1936.) With the aid of some nice line diagrams, Tschichold sets out the geometry of book page configurations since the medieval period, as he and other researchers have discovered them. The argument is for the ‘natural’ proportions. He writes: ‘The two major proportions of 2:3 (octavo) and 3:4 (quarto) form a sensible couple, like man and wife. The attempt to push them aside with the help of so-called normal formats, which use the hybrid ratio of 1:2, goes against nature, like the wish to cancel the polarity of the sexes.’ Though the translation and editorial apparatus doesn’t bring it out enough, Tschichold is here making a hefty refutation of the idea of the DIN standard paper sizes: a foundation stone of his earlier ‘new typography’. Here – as everywhere in Tschichold – practice, aesthetics, ethics and politics are indivisibly fused. There is a handful of short general essays on typography, in which Tschichold passes on high thoughts: but to the effect that typography is a modest and self-effacing art, at the service of the reader. The essays on details are the best things: on quotation marks, dashes, on the ‘consequences of tight typesetting’, on specimen pages for a book, and much more. These were all occasional pieces, and there’s a fair bit of repetition across them. The evil of not indenting the first lines of paragraphs – a touchstone of Tschichold’s typographic morality – is attacked again and again: meaning is lost in the pursuit of stupid neatness. Given the rather arbitrary quality of the collection, it is a pity that the editor has omitted two essays from the Swiss edition: on signature marks and on titling on the spine of a book. Place this book alongside the 1975 source edition. The original is small (178 x 110mm) with a gently rounded spine; its typography is modest, economic, delicately judged. The US edition is larger (232 x 145mm), and will warp with differing atmospheric conditions. The paper is imitation laid and not in the spirit of the seamlessly mass-produced, as a wove paper would be. So too the square back to the book contradicts the dictum that Tschichold enunciates in ‘Ten common mistakes in the production of books’. The jacket design is a clumsy misinterpretation of the Tschicholdian device of alternating title and subtitle lines, and too large. The lettering on the spine is insensitively large too. And – while we are involved in the Tschicholdian exercise of listing faults – the translation is too open to criticism. To take a small but typical instance: ‘repulsive’, as quoted at the start of this review, is too strong for Tschichold’s original ‘häßlich’ – ‘ugly’ or ‘nasty’ is enough. On page 98, ‘every capricious typesetting quirk’ for ‘alle charakteristischen Satzarten’ is a misleading exaggeration (‘every typical kind or style of text-setting’ is more like it). There are things that grate on most pages. One has the feeling that the translator and editor are too attached to fine writing and fine printing. Tschichold’s passions were more ordinary. Finally, one should note that a two volume, more or less complete edition of Tschichold’s writing is now available. This is the Schriften 1925-1974, edited and published by Günter Bose and Erich Brinkmann in Berlin, at DM80 per volume.